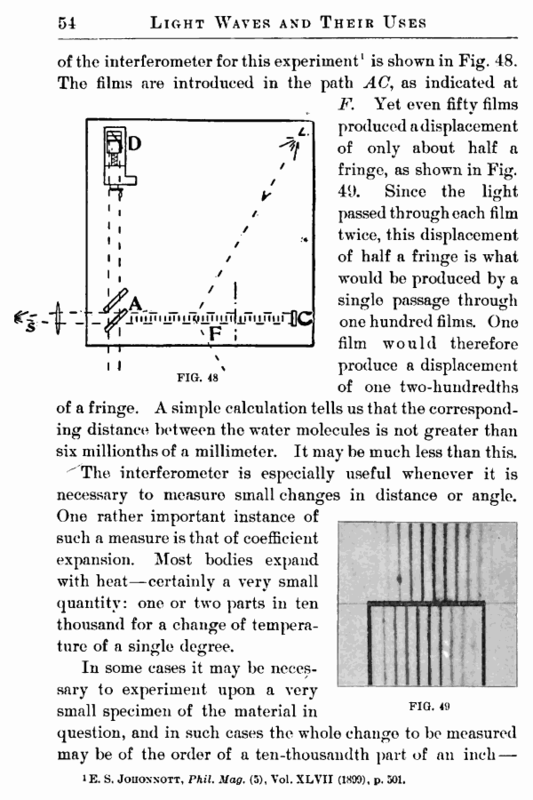 F. Yet even fifty films produced a displacement of only about half a fringe, as shown in Fig. 49. Since the light passed through each film twice, this displacement of half a fringe is what would be produced by a single passage through one hundred films. One film would therefore produce a displacement of one two-hundredths of a fringe. A simple calculation tells us that the corresponding distance between the water molecules is not greater than six millionths of a millimeter. It may be much less than this. ^The interferometer is especially useful whenever it is necessary to measure small changes in distance or angle. One rather important instance of such a measure is that of coefficient expansion. Most bodies expand with heat—certainly a very small quantity: one or two parts in ten thousand for a change of temperature of a single degree. 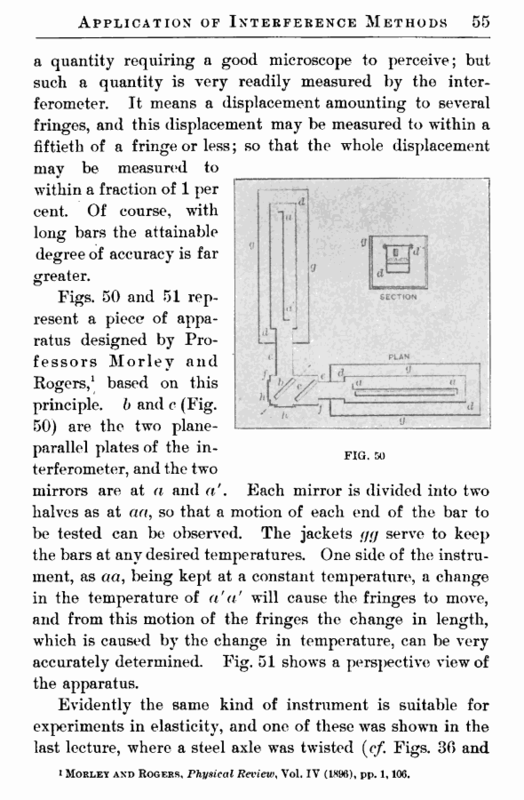 In some cases it may be necessary to experiment upon a very small specimen of the material in question, and in such cases the whole change to be measured may be of the order of a ten-thousandth part of an inch — IE. S. Jouonnott, Phil. Mag. (5), Vol. XLVII (1890), p. 301.